Harley gave a little shiver as he peered at the mysterious girl’s message. She’d written: DRAGON KING RETURNS. Featuring magic, mystery and martial arts, The Relic of the Blue Dragon is the first book in the action-packed Children of the Dragon series. Harley Spark isn’t sure why he’s drawn to the dusty vase sitting outside the local antique warehouse. Harley’s mum, Delia, has always counselled him to be honest, not least because his dad Ray’s criminal activities were the reason his parents got divorced. But when Harley can’t resist taking the vase, his actions reanimate a feud that spans continents and millennia. The vase releases Qing, a Chinese girl from a long-ago dynasty, who has uncanny abilities and a desperate mission to find her lost sisters. 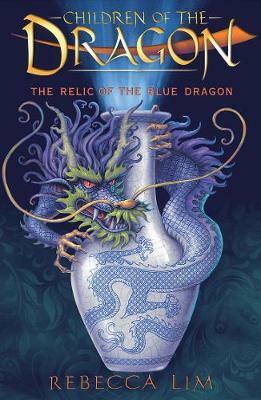 The Relic of the Blue Dragon is a unique mash-up of Chinese myth, a modern-day Australian setting, and an Australian family with Chinese heritage. Once Qing enters the Spark family’s life, the action is fast and furious. Kids will love Lim’s skilful blend of ancient events, dragon shape-shifting, international organised crime and kung fu mastery (who doesn’t want to know more about the Northern Praying Mantis style?). Harley and Qing are given a pleasing amount of agency, while the collision of ancient and modern life injects humour into their perilous situation. Readers who are drawn to the Percy Jackson series but struggle to maintain focus with longer books will find The Relic of the Blue Dragon an inspiring and manageable introduction to contemporary fantasy. The book ends with a clear, ongoing quest for Harley and Qing, an inevitable meeting with the shadowy Diamond King, and lingering questions about Ray Spark’s true motivations. Children of the Dragon will be a two-book series. For ages 9 and up.